Something dark lurked behind those doors. Something evil, something dangerous. In the EA press area and shown to those who could find their way to the truth, The Secret World waited. By now I am sure you will have heard all about Issue 2 : Digging Deeper. If not, a quick recap is in order. 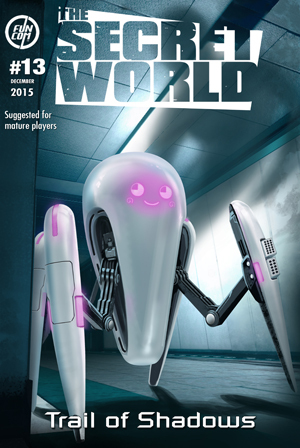 Coming this August 28th, Issue 2: Digging Deeper is the second (obviously) free content update to The Secret World. -As before, there will be new investigation and action missions to keep you entertained. Not content with just that, and as demonstrated to me during Gamescom, Digging Deeper comes with a series of missions that unlock a new ability and active/passive slot. The Auxilliary weapons! The first weapon we get is the Rocket Launcher and I can tell you it looks absolutely gorgeous in action. Want a long ranged blast? You’re covered. Want to rocket jump? Of course those touched by the bees can manage that. Rocket Launcher after unlocking consists of four active powers and three passives all at a cost of 50ap each, so it is a serious investment for your character but one well worth it. Digging Deeper will also deal with new character customizations. Newly created characters will have access to more features in the character creator from this point forward. Existing characters, well they can either visit The Modern Prometheus or Ockams Razor for their feature changes. The first visit to either place will of course be free with a cost in PAX for changes made from then on. The big news from Gamescom though, the big big news. Firstly and foremost, Act 1 of the story of the Secret World will be coming to a close sometime next year. What helps close this part of the story off? Our first new zone. Players will be facing off against ancient evils and the ever present meddling of the Orochi Corporation as we go to the newest location, Tokyo! Not just content with that, besides the new Nightmare mode dungeons added in Digging Deeper, there is something brewing under New York. Eagle eyed players and bloggers have commented more than once on the cinematic trailer showing something serious going down in New York. 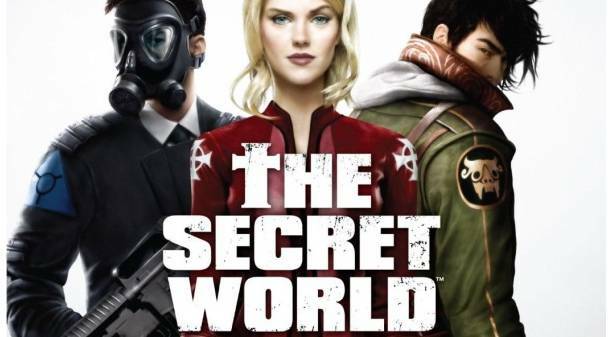 Eager players now will be able to join the first 10 man raid in The Secret World and deal with the fallout of what once was secret and in remote locations causing chaos in the Big Apple and in full view of the public. Lead Content Designer Joel Bylos and Lead Designer Martin Bruusgaard led us through the New York instance after showing off the rocket launcher. Players will experience a gorgeously realized New York City that is suffering under an attack. What can I tell you about the raid itself? Only this. You will need all of those players and all of your skill. Pack the Rocket Launcher, pack your favourite decks and be prepared. It won’t be easy. More details and more information on the news here in next week’s Faithless Is He. Until then, I leave you with two happy fans.